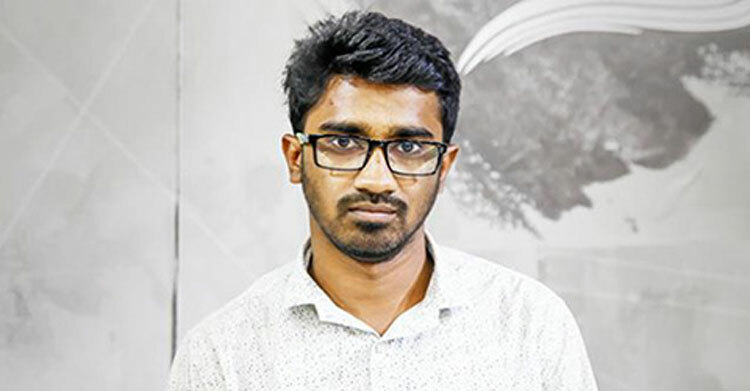 A Dhaka court on Monday granted a 5-day remand for Rashed Khan, joint convener of Bangladesh General Students' Rights Protection Forum, in a case filed under the Information and Communication Technology Act. Judge of the Dhaka Metropolitan Magistrate Court Raihanul Islam passed the order after the investigation officer of the case sub-inspector Md Sajibuzzaman produced him before the court seeking a 10-day remand for him for interrogation. The court also rejected the bail petition of Rashed Khan. On Monday, detectives arrested Rashed from Bhasantek area of the city. Al Nahian Khan Joy, Law Affairs secretary of Bangladesh Chhatra League, filed the case with Shahbagh Police Station. Meanwhile, several activists of the Council that leads the quota reform movement were injured in an attack allegedly by BCL activists as they preparing to bring out a procession from the Central Shaheed Minar. On Saturday, at least six leaders of the Council were injured in an attack allegedly by some BCL activists on the Dhaka University campus. Protesting the attack, the Council called for an indefinite boycott of classes and examinations in all universities and colleges across the country from Sunday.